Two users, one from New York and one from California, meet in Vizible to take apart an aircraft engine. At Worldviz, we’re excited by the ways our clients in the AEC community are leveraging our virtual reality tech. Virtual reality is already opening up new solutions and experiences, and the trend is just getting started. One solution we’re working on, Vizible (in beta), allows anyone to create beautiful VR presentations that showcase 3D models, architectural designs, and more. The game-changing cherry on top? These presentations can then be experienced collaboratively in VR, no matter where participants are in the world. Accurately conveying visual ideas to remote decision makers is still a huge challenge that traditional communication technologies don’t solve. For example, video conferencing can’t immerse users in complex 3D designs or give a sense of space or scale. We think VR will have a massive impact in the business communication space, especially for visually communicating designs or the value of a property or product. With the rise of virtual reality, 360-degree photography, and 3D visualizations, there’s a real need for tools that help people explore this content together. I recently met with representatives from Turner MRS using Vizible, and we were immersed together inside a rich 3D visualization. It was useful and delightful for us to do things we would do in person, like pointing, walking, looking around, picking up objects, rotating them, etc. Being able to see rooms with a realistic sense of scale was helpful, and Vizible let us add annotations to the space with a handy drawing feature. This is the stuff that’s been difficult to pull off online without VR. VR makes it possible, and Vizible makes it easy. Instead of flying a client out to see a property, you now can meet inside a detailed 3D model with Vizible. Want to show off a few different models or buildings? The Vizible Presentation Designer makes creating VR presentations as easy as making a PowerPoint. In contrast to PowerPoints, though, Vizible presentations are captivating, collaborative, and designed specifically for the exploration of 3D models. The uses go beyond meeting potential clients. For example, you could conduct a design review with your colleagues, or lead trainees around a site. The possibilities are endless, and we’re just scratching the surface. If you want undivided attention from stakeholders and the most compelling, natural way to experience 3D content, you can’t do better than meeting in Vizible. 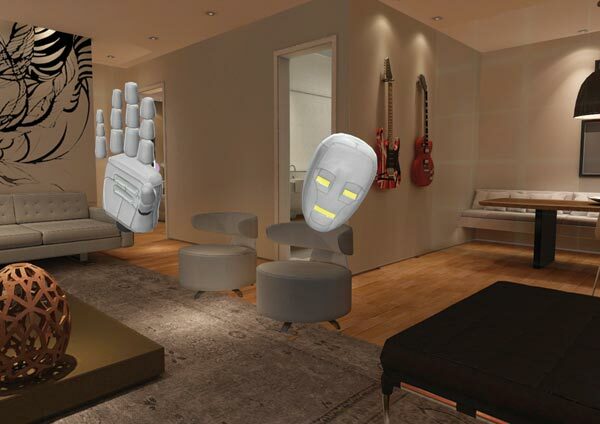 Someone waves hello from inside a property in Vizible. Making the next generation of user-friendly collaboration tools requires expertise with user interfaces for VR, and we’ve been building that expertise for more than a decade at WorldViz. We want to help users hold meetings and demos in virtual reality as easily as they would have a Skype call. Besides Vizible, WorldViz has experience building 3D visualization tools and custom experiences for clients around the world like Stanford University and NASA. Bruno Jacobsohn from Domus, a Brazilian construction firm and WorldViz client, says, “Now our clients feel satisfied only when their projects have been fully tested, lived and experienced in virtual reality before we break ground.” He’s not alone in thinking this, and Fortune Magazine predicts that the VR market will be worth $150 billion within four years. Microsoft is now entering the fray with their Mixed Reality headsets, and the hardware will only be getting better and cheaper. 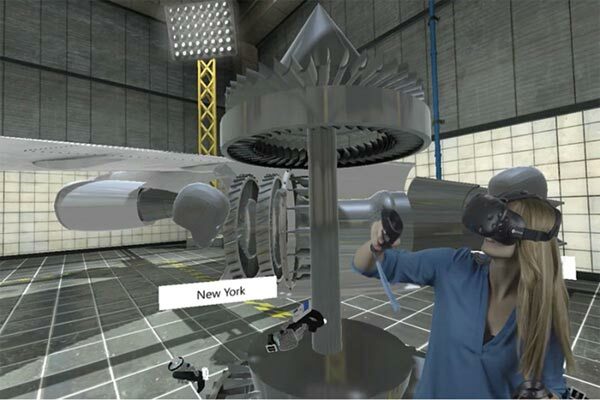 Entertainment and gaming have helped get VR off the ground, but it’s also these professional use cases for the AEC industries and others that will help drive large-scale adoption of VR technology. This is a boon to those involved in architecture, engineering and construction, particularly those who currently do or want to do 3D visualizations, mock-ups or designs of any sort. We want Vizible to be an essential tool in your toolkit, the meeting solution and presentation designer that suits your field the best. We know that miscommunication is a frustrating and costly problem for construction projects, and we know it’s not easy to explore 3D designs from laptops. These are just some of the problems that Vizible solves. This isn’t some revolution waiting to happen. People and companies in the AEC communities around the world are already making significant investments in the VR space. Their customers already see the value, and more and more of them will have the required hardware every month. We’re here to help AEC clients stay on top of the trend. Our existing clients in the architecture space are thrilled with what we’ve cooked up for them, and we can’t wait to show you what we’re working on now. You can apply to try the beta of Vizible at http://www.worldviz.com/vizible. We’d love to meet you in Vizible! Gabe Baker is part of the Education & Training Team at Worldviz. He is always happy to talk about VR and can be reached at baker@worldviz.com. 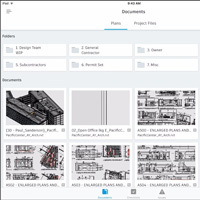 Software developer Sage North America announced the results of the Sage SMB Survey on Mobile Devices focused on the construction sector, which recently surveyed 331 small- and mid-sized construction companies in the United States and Canada. ASLA has released a virtual reality video of Klyde Warren Park in Dallas that takes viewers on a vivid journey through this park built over a highway. 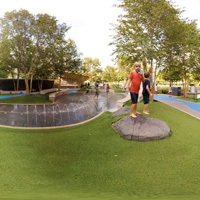 The American Society of Landscape Architects (ASLA) has released a virtual reality (VR) video of Klyde Warren Park in Dallas. The video takes viewers on a vivid journey through this park built over a highway. It is narrated by landscape architect James Burnett, FASLA, president of OJB Landscape Architecture, which designed the park.